WDH’s Care Link Team has invested in the Raizer Emergency Lifting Chair to help improve the service for Care Link customers. The new state of the art lifting chair makes lifting customers who have fallen quicker and easier, helping them back to their feet comfortably. The Raizer is powered by a battery and is assembled around the customer whilst they are on the floor allowing them to be lifted into a standing position with ease. It will replace the current lifting device, ELK, where possible helping to reduce the cost of repairs related to over use. 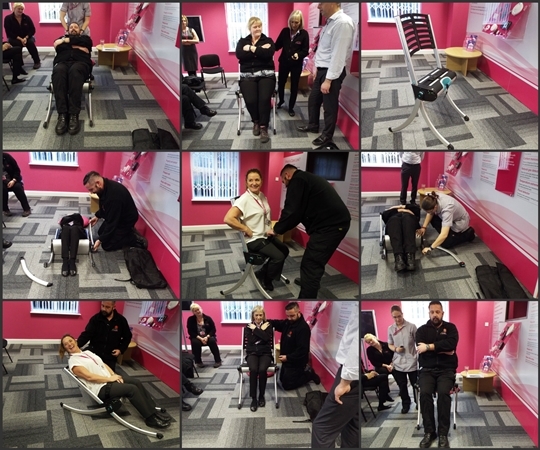 Care Link employees have recently taken part in a training session run by Yorkshire Care Equipment to learn how to use the Raizer Emergency Lifting Chair.